Congratulations to International Innovation graduates, Kyaw, Patrizia and Sebastien of Ikigai Factory limited who were awarded Duke of York Young Entrepreneur Awards last month. The Enterprise Team nominated Ikigai Factory in recognition of their hard work and success developing and taking their product REVR to market. Launched in 2017, REVR is a virtual reality solution that allows estate agents to view, manage and share virtual property tours; improving the viewing experience for customers too busy or remote to easily visit properties. 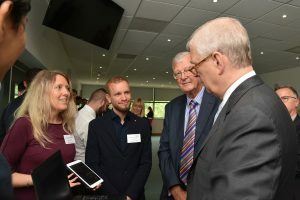 The team have written a short account to share their experience from the presentation day, where they were presented with the awards by the Duke of York himself. In the morning of the 9th July before the ceremony we had the chance to meet with our mentor from LUEC, it was a good opportunity to catch up and to prepare for the event. At about 1pm we moved to the Buckley Innovation Centre at Huddersfield University where the other entrepreneurs from different universities from the North of England were. After setting up our stand we had the opportunity to network during lunch with the other students/entrepreneurs, and found the potential for future collaborations. Our solution also caught the attention of University representatives and a photographer present that day. HRH presented The Duke of York Young Entrepreneur Award to the ten companies there, and at 2pm the Duke arrived and went around to the stand of each company, we were able to present our product and answer his questions regarding REVR. Meeting the Duke of York and discuss with him about REVR it was a great experience! One wisdom that the Duke shared to all young entrepreneurs resonated with us. He said “No plan survives the first contact with the enemy”. We were honoured to be presented with the award by the Duke of York in person, this could not have been possible without the LUEC team that supported and is supporting us in our start up journey. To read more about their story and check out their product, visit their website or their page on our Enterprise Directory. Venturefest North West brings together the region’s innovators, entrepreneurs and investors. It’s an ideal opportunity to connect with people from around the region, find growth opportunities and be inspired. The event is a mix of speakers, workshops, exhibitors and networking opportunities. You can find our more and sign up to attend the event on the Venturefest North West website. At the centre of the event is the Innovation Showcase Competition. The competition is the perfect opportunity for North West businesses to promote their latest products, services and innovations to an audience of potential customers, partners and funders. There are four categories – Product Innovation, Service Innovation, Digital Innovation, and Innovative Established Business. Shortlisted businesses will present at the event. Winners will receive business support packages worth thousands of pounds. To find out more and enter the competition, please visit the Venturefest North West website. Entries close: 16th July. You’re invited to the Velo Holidays Launch! Be part of the launch of Dan Ghita’s business. From student to business owner – Dan Ghita and the story of finding your calling through people. Dan Ghita is a Lancaster University first degree graduate with an interesting story behind becoming a business owner. Having moved to the UK 4 years ago, he has gone from working for IBM as a salesman to crossing Europe on his bike, and most recently starting a cycling tour business. Join him to celebrate the launch of Velo Holidays and to hear how people drove him to become an entrepreneur. Food: Traditional Romanian Cuisine and drinks included. Special on the day discount for all participants to any cycling tours provided by Velo Holidays! If you would like to attend the launch please register here. 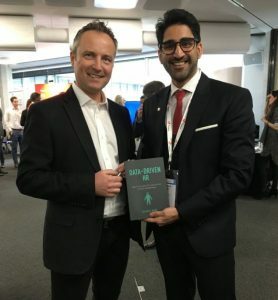 Earlier this year, LU graduate entrepreneur Nadeem Khan received funding from the Lancaster University Enterprise Fund to help him attend a People Analytics conference in London, an opportunity which enabled him to network and learn from leading HR practitioners and thought leaders. Here, Nadeem shares an update on what the funding unlocked for him and the opportunities which have arisen since. After graduating with honours from the MA Human Resources & Consulting, I was engrossed in academic jargon. With the support of both the Enterprise Team and the Department of Entrepreneurship, Strategy and Innovation at Lancaster University; I audited courses on selling, networking, funding for entrepreneurial ventures, and product and service innovation. Simultaneously, I worked alongside the Enterprise Team at Lancaster University to develop and mature my entrepreneurial idea to set up an HR Consultancy around my research area in People Analytics. The concept materialised with the establishment of Optimizhr Ltd. – a human capital consultancy that offers consulting and advisory services around People Analytics, Talent Strategy and Leadership Development. As an international student, I had now received the prestigious Tier 1 Graduate Entrepreneur visa. Consequently, I felt the need to venture out and connect with practitioners and consultants in the industry and learn contemporary best practices around People Analytics. 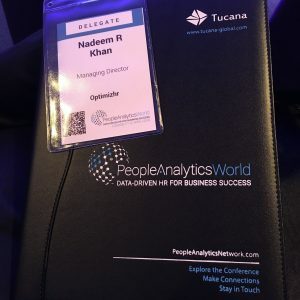 One of the best way forward was to attend Europe’s largest People Analytics conference – People Analytics World (PA World), organised by Tucana. PA World was scheduled to be held in London on April 11 and 12, 2018 and encompassed thought leaders, industry practitioners, consultants and technology companies across the globe sharing their best practices. I discussed this opportunity with the Enterprise Team and I decided to apply for funding (provided by Santander Universities) to help towards the ticket price to attend PA World. 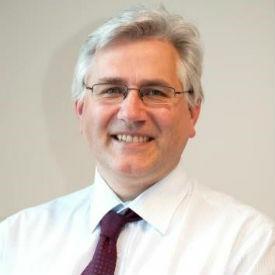 The conference was chaired by IBM’s former Global Director of People Analytics – David Green. Key note speakers included CEO of CIPD, Peter Cheese, People Analytics Directors from Deloitte and thought leaders such as Bernard Marr and Alec Levenson. The cornerstone of the conference was the insights I gained while attending presentations of best practices from industry leaders. I witnessed first-hand how Twitter, ABN-AMRO, Unilever, Nestle, British Airways, Procter & Gamble, Swarovski and Cisco are using People Analytics to drive business insights and performance. The opportunities to engage and connect with these individuals opened new horizons. A key learning from this conference was the increase in the big data and analytics in our lives and business. As intimidating as this may sound, everything we do essentially creates a digital data footprint from our mobiles to our credit cards, thus enabling us to anticipate our behaviour. Hence, experts also shed light on the implications for collecting such data after the GDPR. 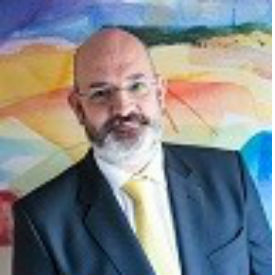 I also connected to Tucana’s MD, Barry who after our conversation offered me to write blogs for their official website thus, enabling me to share my expertise among Tucana’s community of thought leaders and practitioners. After returning to Lancaster, I wrote a reflective article – ‘The Business Case for Data-Driven HR’ sharing my insights from the PA World and sent it to Tucana. Not only did they accept my piece but also offered me to write further blogs in an ongoing arrangement to attend future Tucana events and conferences. This arrangement will be reviewed after their next PA Forum conference 2018 with a view for it to becoming an ongoing arrangement in future enabling me to become part of Tucana’s media team and contributors. Each of Tucana’s subsequent events are priced on an average at £1095. This conscious effort has enabled me to not only attend, learn from and network with thought-leaders and industry practitioners but also gain another opportunity to attend PA Forum conference 2018 on a complimentary pass. Prospectively, I hope to present on stage among the ‘Who’s Who’ of People Analytics thought leaders and practitioners at the PA World conferences. Founded by the Duke of York in 2014, Pitch@Palace aims to support and connect entrepreneurs and early-stage businesses with potential supporters including CEOs, influencers, panels, mentors and business partners. There will be three regional events across the country and winners from each will be invited to a bootcamp, with the final taking place in November. To find out more and apply, please visit the Pitch@Palace website. If you are interested in applying, please also let us know so that we can help to support your application. The ethical goods market in the UK has quadrupled in size since 2000 and millennials appear more willing to pay for and choose brands doing social or environmental good. 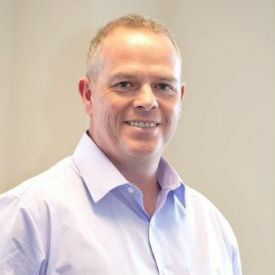 However, making money ethically is not always easy, many will not have profit at the forefront of their minds but as chief exec of Cafédirect John Steel explains, ‘financial sustainability is paramount.’ Other aspects such as recruiting the right people, who share the same values as the business are also vital. The article is a very interesting read with a number of ethical business examples discussed, including the Big Issue, the Ethical Landlords Association and Brighton supermarket hiSbe. You can read the full article on The Guardian’s website. Do you have an eco social enterprise? The School for Social Entrepreneurs North West in association with the Blackburn House BEE You Project have announced a practical 6 month startup programme starting in October, aimed to help eco-social enterprises to grow their ventures. The scheme is open to 16-24 year olds from across the North West with enterprises tackling everyday environmental challenges such as food waste, green energy, community gardening, protection of wild habitats, sustainable fashion and green tech. To apply your idea must be a tested or existing social enterprise that has been running for less than 3 years, making less that £15,000. To find out more and download an application pack click here. Are you preparing to move into graduate employment and want to make sure you can stand our from the crowd? Do you like cake? Commercial Awareness is increasingly cited by graduate employers as an essential competency when seeking new employees. Commercial Awareness for Knowledge Exchange (CAKE) is a short workshop that will accelerate your understanding of how their businesses work and give you the insights to show how you can make a difference as their latest recruit. Have enjoyed eating some cake. The session will be led by Lyndsey Egerton, Student Opportunities & Skills Developer, from the University’s Careers service. She will draw on the Business Model Canvas as a framework for designing, analysing and describing Business Models for organisations of all sizes, in all industries and sectors. If you are preparing generally for employment, or have a particular employer you are hoping to impress, the insights gained in this session could help you to stand out from other candidates. If you are not graduating this time but would like to attend to develop your Commercial Awareness, please register as normal. The Enterprise Team would like to invite students, staff and alumni to attend a special panel event with three of Lancaster University’s Entrepreneurs in Residence. The session will be run as a Q&A, so come prepared to quiz the panel, find out about their experiences and ask for advice on setting up your own venture! Even though the entrepreneurs run businesses predominantly in the engineering and IT sectors, their knowledge about what it takes to run and start up a successful business will be valuable to all aspiring entrepreneurs. Optima Control Solutions is an expert industrial control systems company, supplying systems and services to companies from multiple sectors, in numerous countries, helping them to improve their processes, productivity and ultimately their profitability. Westlakes Engineering is a consultancy providing civil, structural , environmental and attraction safety services. The company has grown quickly since it started in 2004, by establishing a reputation for providing a high quality, professional service to a wide range of clients. Mark has had a varied career in catering, engineering and even 12 years as a Police Officer – all this before setting up his own IT company. Vertigo Solutions Ltd provide a variety of IT support solutions to a range of markets from manufacturing to education and healthcare. Secure your space on the session by booking through Target Connect. Come along to pick up some tips and learn from those who have been there and done it! Looking for advice from experienced entrepreneurs for your startup? Considering starting a business within the food industry? Ready to start hiring people to your startup? Come and seek advice from experienced entrepreneurs within the recruitment and food sector who have been there and done it! We are excited to welcome two entrepreneurs next week for open discussions about their experiences in business and to share their advice for aspiring entrepreneurs. Take a look at Wayne and Michelle’s profiles below and follow the Target Connect links to book onto either (or both!) of the sessions. Both sessions will take place in Learning Zone Pod 4. 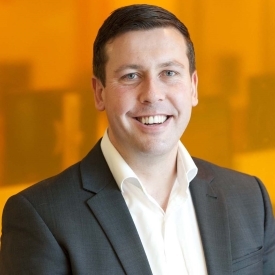 Once Wayne got a taste for working in recruitment for a large firm he soon realised that he could make quicker strides forward working for himself and thus founded Cast UK in 2005. Cast UK are a specialist recruitment consultancy focusing on roles within procurement, purchasing, supply chain, logistics & transport. The company has grown year on year and now employs 30 people, with plans to double that number by the end of the year! 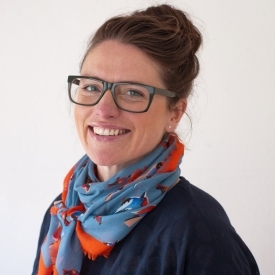 Michelle Partington founded Lakeland Picnic in 2006. Based in the Lake District, the aim of the company was to provide simple and delicious food through the use of some of the finest regional ingredients; served in street locations with a thoughtful and considered approach to customer needs. Michelle has also more recently established Shellys Drinks Ltd – originators of blended alcoholic drinks, supplying retailers and bars. The U Start Project is part-funded by the European Regional Development Fund.